This course is a graduate-level seminar on selected contemporary sociological theories. This is not a survey course that would provide a broad overview of all or many contemporary theories, but only a small yet very useful selection thereof. Temporally, we focus on sociological theories that were developed since, and that are explicitly rooted in, the sociological classics, paying somewhat more attention to the earliest modern theories. Thematically, selection in this theory course (one of several you can take) is largely motivated by the theoretical ideas I have found useful in my sociological work, although it is not necessarily a presentation of my sociological stance. We will specifically focus on those sociological perspectives that accord centrality to the macro-theoretical notions of system and structure in the scientific study of society. Emphasis in the course is placed on the conceptual tools and analytically relevant propositions of the discussed perspectives of sociological thought. Yet, because this is a sociological theory course for sociologists, not (only) for theorists, we will also examine the fruitfulness of the introduced theoretical ideas for the analysis of substantive matters of society and relevant empirical stuff. All writings in this course are primary materials, i.e. written by the sociologists who have been instrumental in developing the theory at hand and who offer an exposition in, rather than about, a certain theoretical approach. Both theoretical and empirical writings are selected. Deflem, Mathieu. 1999. "Teaching Theory for Sociology Students: Junior Notes." Perspectives, ASA Theory newsletter, pp. 7-8. Deflem, Mathieu. 2004. "Theory, Abortion, Policing, Terrorism." Perspectives, the ASA Theory section newsletter, 27(2):6, 25-27, April 2004. The complete course syllabus with schedule will be handed out to students in the classroom. 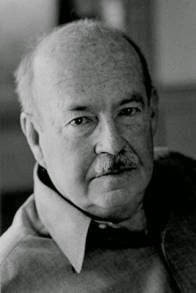 b) The Structuralism of Bruce H. Mayhew, Jr. The required readings for this course consist of the following books OR a selection of online readings. Parsons, Talcott. 1983. On Institutions and Social Evolution: Selected Writings. Edited by Leon H. Mayhew. Chicago: University of Chicago Press. Coser, Lewis. 1964. The Functions of Social Conflict. New York: The Free Press (Simon & Schuster). Blau, Peter M. 1994. Structural Contexts of Opportunities. Chicago: University of Chicago Press. Habermas, Jürgen. 1996. On Society and Politics: A Reader, edited by S. Seidman. Boston: Beacon Press. 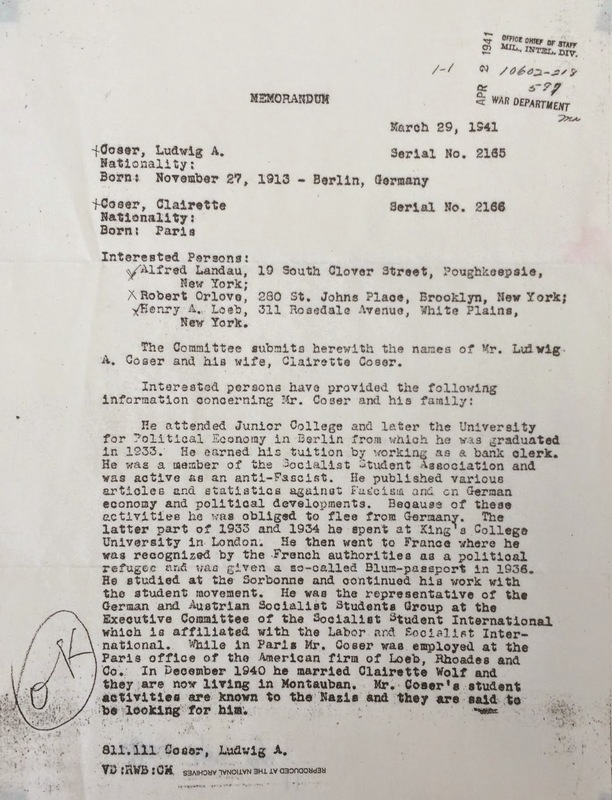 The image below is a copy of a memorandum located in the National Archives concerning the immigration to the United States of Ludwig Coser, who would soon change his name to Lewis Coser. Go to the SOCY 711 Readings Page - A separate webpage includes dozens of theoretical and empirical articles on each discussed theorist, which are available online via a search in jester.